Just a short post to inform you all that my new kit is in store now. 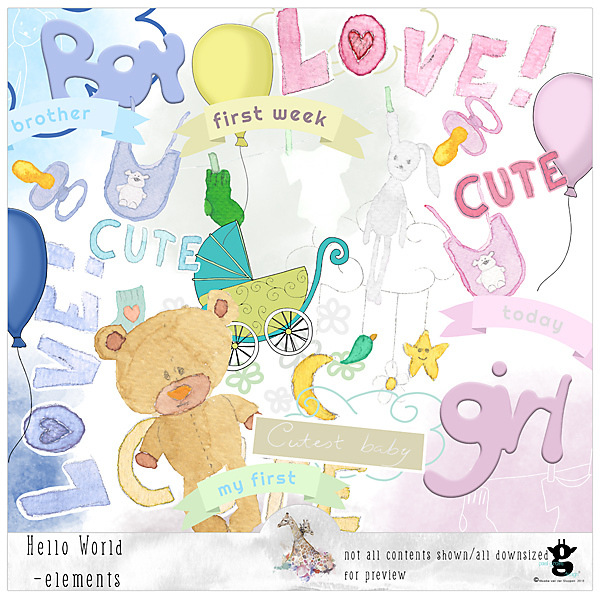 It’s called Hello World and contains fun, watercolor elements and bright colors. Traditional pinks and blues, but also different random colors. Not a traditional kit with a specific color palette. They are great for your cutest baby pictures, cards, baby books, and birth announcements. Have fun! Previews are directly linked to the store. Thanks for reading and I hope to see you in my store!